Calculations undertaken in accordance with ATTMA Technical Standard 1 and are based upon an internal envelope area of 277.1m2 and an internal volume of 303.45m3. For Passivhaus certification (and Euronorm methodology), the volume of all internal partitions, stairs, floor void etc are discounted in the airtightness calculations, resulting in a lower overall internal volume (in this case internal volume was calculated as 277m3). Smoke tests around the building revealed some air leakage at three points in the build around a window frame and on two external doors, which have now been remedied. “We are delighted with the results – it is a real achievement for the whole team – from site labourer to client – and has been a vindication of all the effort that has been put into the project. I hope that the results will also help blow a myth that traditional cavity wall construction can’t be made airtight for Passivhaus needs. Good simple robust design, knowledge and care in application are all that are needed to achieve Passivhaus levels. We have proven that you can still build in the local vernacular and reach the performance levels that you need for 2050 carbon reduction goals”. Dr Wolfgang Feist – originator of the Passivhaus methodology and founder of the Passivhaus Institut – has been supportive of the project from the outset. He has sent his congratulations to Bill Butcher already: “That looks good! 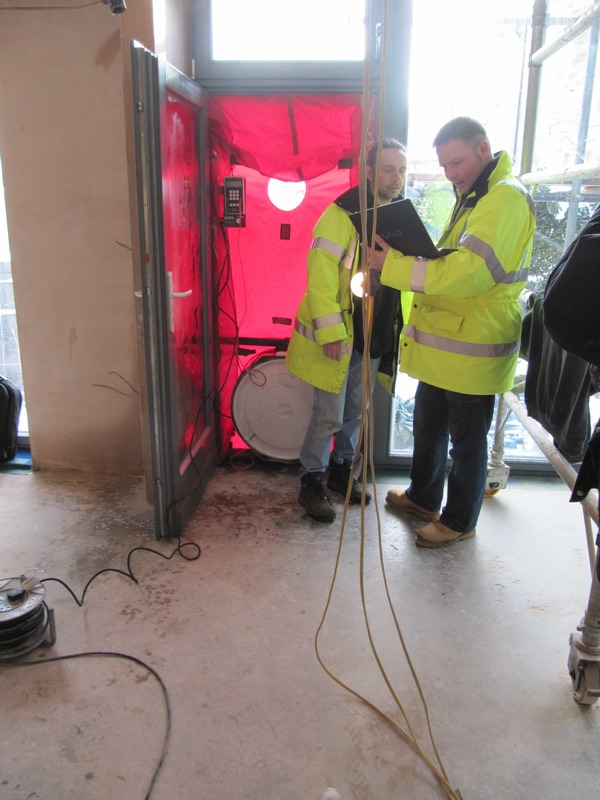 You guys are perfect… As I told you: airtightness is not a myth, YES WE CAN”. The Centre for the Built Environment at Leeds Beckett University will be doing a further interim test on the Denby Dale Passivhaus before the final Passivhaus certification test.